The Autism Society began the Safe and Sound TM initiative to provide much-needed resources on topics such as general Safety, Emergency Preparedness and Prevention, and Risk Management. For more sources, click Medic Alert, to learn about how to obtain a membership or medical id bracelet. The National Autism Association is committed to those with an Autism Spectrum Disorder (ASD) who may be prone to wandering off or eloping from a safe environment, and may be unable to recognize danger and/or stay safe. Wandering, elopement, “running” or fleeing behaviors among those within our community not only present unique safety risks, but also create extraordinary worry and stress among caregivers. The Big Red Safety Box is a free-of-charge toolkit given to autism families in need as a means to educate, raise awareness and share simple tools that may assist them in preventing, and responding to, wandering-related emergencies. 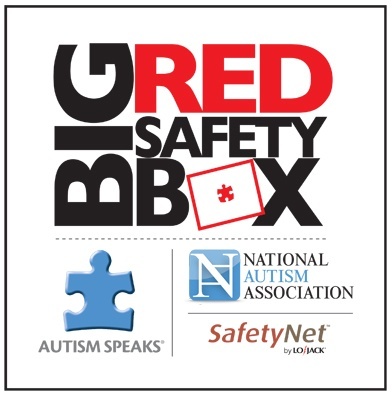 For more information, go to Big Red Safety Box. The task of searching for wandering or lost individuals with Alzheimer’s, autism, Down syndrome, dementia or other cognitive conditions is a growing and serious responsibility. The primary mission of Project Lifesaver is to provide timely response to save lives and reduce potential injury for adults and children who wander. 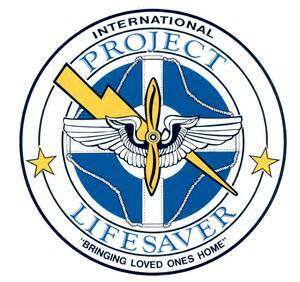 For more information about Project Lifesaver, click here to visit their website. Dennis Debbaudt is the leading global voice on autism training for law enforcement and emergency responders. Autism recognition, response and risk management training sessions will help law enforcement, fire-rescue and emergency medical response, and criminal/juvenile justice professionals recognize the behavioral symptoms and characteristics of a child or adult who has autism, learn basic response techniques, learn about the high risks associated with autism, and will offer suggestions, options and specialized tactics about how to address those risks, increase officer and citizen safety, and avoid litigation. The training can be tailored to meet the needs of local communities and agencies. For more information on autism safety training in your community, visit: Autism Risk and Safety Management. Many persons with ASD face challenges while driving. Whether you are considering driving or you have already obtained your license, you should be aware that the State of Iowa allows a Medical Alert designation on your license. It will appear in red bold letters on the bottom right corner. It is then up to the individual to decide how this information is shared. No additional forms need to be completed with the Iowa DOT. Some people choose to have an informational card and some just place a sticky note on the back of their license to let an officer know of their disability. Remember, you have the right to choose to disclose your disability. For more information about ASD and driving, Dennis Debbaudt an expert in Risk Management, has created a video with the assistance of Jerry Newport. For more information, click here: Autism & The Descision to Drive. The National Advanced Driving Simulator (NADS) is an independent, self-funded research unit at The University of Iowa. Their past research has studied persons on the spectrum, providing driving simulator instruction. To learn about upcoming volunteer opportunities or for more information, click here: National Advanced Driving Simulator. Assistive technology (AT) can help stop elopement or the wandering away of people with autism spectrum disorder. AT can be as simple as building a fence. It can be as complex as using GPS tags to locate someone who wanders away and gets lost. AT devices may be expensive. But there is funding support for families and caregivers of people with autism. The Iowa Medicaid Waiver Program has seven waivers in its home and community-based services (HCBS) waiver program. National groups include Autism Speaks and ACT Today. Local charities in Iowa include Children at Home, the Shayla Bee Fund and the Henry K. Peterson Foundation. Online crowd-sourced funding—or crowdfunding—is also an option. It offers a new way to raise funds to support a cause or meet a need. This can include raising money to pay for AT devices. Crowdfunding requires access to the Internet, using a computer or smartphone. It relies on social media networking to share news about the fundraising. The Edward Byrne Memorial Justice Assistance Grant Program provides funding for AT devices. Local police departments can apply for this funding for families and providers. Learn more about this program from Dennis Wiggins at the Iowa Department of Public Safety at dennis.wiggins@iowa.gov or 1-515-725-0311. Support to stop elopement or wandering can include more than funding for AT devices. Families and caregivers of people on the autism spectrum with wandering issues should get in touch with their local police to learn about other support. This also lets the police know you might need their help if a loved one wanders away. Contact Compass online at www.iowacompass.org or call 1-800-779-2001 for more information.